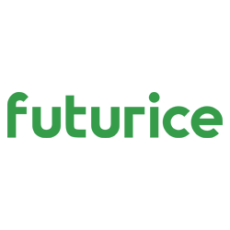 Futurice is a lean service creation company. It means that we build e.g. mobile and web services in a lean manner, working closely together with our customers. Although we work on a wide variety of products ranging from consumer apps to business critical systems, all of them are connected by a demand for an outstanding usability. Futurice's 280+ employees are located in Helsinki, Tampere, Berlin, London, Munich, and Stockholm. Our work is done in small cross-functional teams where experts of software development, design, analytics and business consulting come together. All of these competencies are needed to create some of the best digital services in the world. Futurice is known for its strong and rewarded company culture built on trust, transparency, care, and continuous improvement. We believe that happy employees are the key to happy customers as well as happy end users. Read more about us on futurice.com and twitter.com/futurice.